The 2015 Dietary Guidelines: What Will They Mean for Vegans? For those who advocate for animals, the report from the 2015 Dietary Guidelines Advisory Committee is a bit of a mixed bag. On the plus side, the report makes a clear recommendation for Americans to eat less meat and, in fact, to eat less animal food in general. The committee says that “a diet higher in plant-based foods, such as vegetables, fruits, whole grains, legumes, nuts, and seeds, and lower in calories and animal based foods is more health promoting.” They specifically name vegetarianism as one of three healthy dietary patterns. While the committee has shifted recommendations away from outdated ideas about limiting total fat, they have re-confirmed that Americans should continue to cut back on saturated fat—the type found most often in animal products. Finally, for the first time ever, the committee recommended a reduction in meat intake—including lean meats—because of concerns about the environment. They say that the same plant based diet that protects health is one that has less environmental impact. How this will fly with the USDA—one of the government agencies that will release the finalized report—is a big question. The meat industry is ready to fight back and they have lots of friends in high places. But for now, recommendations pertaining to the environment are there, and I think it’s pretty great. Because it is an acknowledgment that dietary guidance needs to take more than human health into consideration. And, we need that shift in perspective to take place if we want a more just and compassionate world. That world requires a much broader set of criteria for defining the “best diet” as I noted in this blog post. It’s not going to materialize via research on diet and health. This is no surprise to anyone who follows nutrition research; we saw this coming. Although there are subgroups of the population who need to limit cholesterol intake—people with diabetes in particular—it’s been clear for a long time that the relationship between dietary cholesterol and blood cholesterol levels is weak. This certainly doesn’t suggest a free-for-all with cholesterol or with eggs. Eggs are still part of that big group of animal foods that we’re all supposed to be reducing for our health and for the environment. But reduction in animal food–depending on how it’s done–may or may not help animals. (See my post on why bad news for red meat is bad news for chickens.) And, given the incredible suffering that is an inherent part of the egg industry and the huge number of animals involved, this change feels a little depressing. In contrast, a vegan ethic never needs to be re-evaluated in view of new evidence. Whether or not eggs are bad for you, there is an indisputable reason not to eat them: It causes unconscionable suffering to animals. That’s a message we can stand behind for as long as it takes. You’ve pegged the reality of the ethos veganism…it needs no re-evaluation since it’s a truth of the heart not the well-constructed study. Thank you. Thanks so much for this, Ginny. Another incredibly strong argument for always focusing on the ethics of our diet (as if we needed one, especially after the HRC recidivism study). Won’t discouraging eating saturated but saying not to worry about dietary cholesterol confuse people? Don’t the two go hand-in-hand? Laurie, it’s true that saturated fat and cholesterol often go hand in hand, but not always. Eggs are very high in cholesterol but not especially high in saturated fat, so that’s the problem. 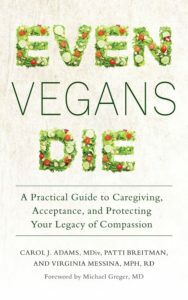 You are right: a vegan ethic never needs to be re-evaluated in view of new evidence. In the end that is what matters. Has there been a study done where vegans are put on a high saturated-fat diet, such as eating large amounts of coconuts every day, to measure changes in cholesterol? Also, is there a qualitative difference between saturated fat from animals and saturated fat from plants, in terms of saturated fat’s health effects? Brandon, no that study hasn’t been done. Although, just from an uncontrolled observational perspective we know that populations that eat mostly plant-based diets with coconut oil as the main fat have low rates of heart disease. They aren’t vegans, though, and I think most eat a fair amount of fish. And yes, there are qualitative differences in the saturated fat among different foods, but it’s not really a plant versus animal food issue. For example, the types of saturated fat in dairy foods are different from the types in beef. What are the ethics of eating eggs produced by your own free range backyard chickens? Mainstream ethics? Chickens are widgets to produce food for humans. Vegan ethics? Not that. While someone may keep their “own” backyard chickens and go about collecting eggs the hens “produced” with the implicit desire to eat those eggs, even in the most benevolent manner if someone is attempting to embrace a principle that rejects chickens as food production units, such an arrangement is in tension. 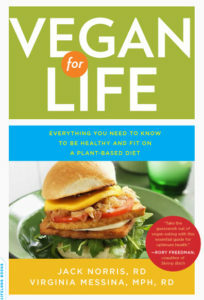 Vegans attempt to pursue a lifestyle free of animal products to reify to oneself and society that it can be a healthy and joyful way to live. That it can be normal. Habitually eating chickens’ eggs clouds that affirmation, both personally and socially. An objection may be, “but no suffering is caused.” But what history, and what systems, created the circumstances of domesticated chickens and the expectation of routine chickens’ eggs consumption? If present-tense harm is the sole concern in one’s moral landscape, such inquiries and implications are rendered irrelevant. But it’s myopic to regard ethics so narrowly. How we think we should best live; how we cultivate our character through actions based on our aspirations, ideals, and principles, and how we influence others and shape social thinking to contribute to a better society – even in the smallest gestures – is a tenet of classical ethics that shouldn’t be overlooked. Interesting response, thanks. Interested in hearing others, also. I am not a vegan, although I think it is wonderful thing to be. I’m an idealist but not not a purist as you describe. I guess I am talking about “present-tense harm.” These chicken ladies were rescued from a terrible fate and live quite nicely. I don’t feel badly eating their eggs because I know they are living good chicken lives. We spend more money and time housing and feeding and taking care of them than their eggs are worth, so I don’t believe we are using them. It’s a symbiotic relationship. I have backyard chickens. They have a coop that they willingly enter at night (I never force them, and the door on the lower level is always open so they can come and go as they please.) They have never once left my property, though they certainly could if they wanted to. They’re quite happy, and contrary to what some vegans say, want nothing to do with their eggs. (But if they did want to eat their egg shells for ‘calcium’, as some insist, they could- they have access to the compost, of which- bonus- they do all the turning.) I highly recommend chickens as ‘neighbors’- treat them well and they’re the easiest animals in the world to care for. Since they’re hardly ever in the coop, it’s a breeze to clean. My family enjoys their eggs and swears they’re much tastier than store-bought. I still have issues with them- the ick factor- but I’ve taken to eating the lightly cooked yokes now and then, because I refuse to believe supplements are healthy/ necessary. The term ‘vegan’ originally included eggs. It’s plain to see why that was changed, considering how chickens are often treated. But cruelty-free eggs are indeed possible, and not only that- chickens are extremely beneficial to gardens. Growing our own food is ethical from an environmental standpoint and also saves animals, such as rodents and such that can get caught up in agricultural machinery. While I agree with Infidel Poetry I will add that I think it would/could be ethical to eat eggs from rescued or unwanted hens if they are still producing (e.g. from people that have backyard chickens but then don’t want them). I wanted to say ‘a’, but then below you mention that you’re not vegan (obviously) so I’m forced to consider ‘b’. Vegans don’t eat eggs, it’s that simple. Brandon Becker offers a good link as to the ethics involved in keeping backyard chickens and using their eggs as well as the definition of veganism. If you are indeed an idealist then ideally you’re not eating eggs. Let the eggs go back to the earth from whence they came. You’ve confused your custodial relationship with these chickens for ownership. 6. 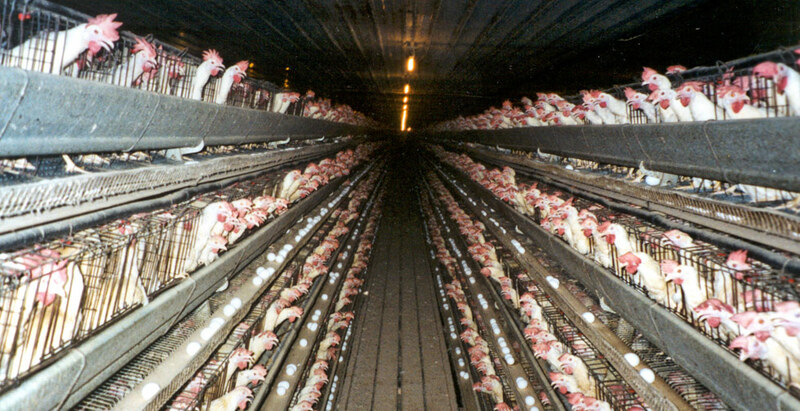 Why are the hens here in the first place, severed from their natural world and denied a natural life? Why are you? Shouldn’t you be living off the land? What is this screen in front of me? Help! 7. Why do we think of chickens, and other animals, as food or sources of food? I don’t eat carcasses, so I can’t speak to that. I view eggs as supplements, and they make more sense to me than pills. You don’t seem to appreciate the relevance of the document Brandon Becker linked to. 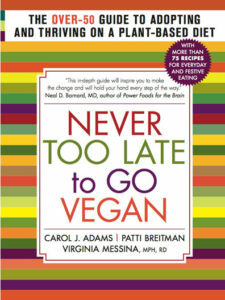 It is literally the first publication where vegan is defined by the very person who coined the term. It’s like a vegan Declaration of Independence written by the vegan Thomas Jefferson. “We should all consider carefully what our Group, and our magazine, and ourselves, shall be called. ‘Non-dairy’ has become established as a generally understood colloquialism, but like ‘non-lacto’ it is too negative. Moreover it does not imply that we are opposed to the use of eggs as food. ‘Vegetarian’ and ‘Fruitarian’ are already associated with societies that allow the ‘fruits'(!) of cows and fowls, therefore it seems we must make a new and appropriate word. 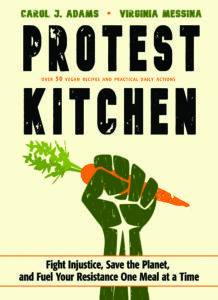 As this first issue of our periodical had to be named, I have used the title “The Vegan News”. Should we adopt this, our diet will soon become known as a VEGAN diet, and we should aspire to the rank of VEGANS. The object of our Group is to state a case for a reform that we think is moral, safe and logical. In doing so we shall, of course, say strongly why we condemn the use of dairy produce and eggs. From day one, the inception of veganism has never included eggs. His publication cannot be anymore clear. 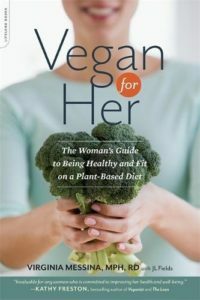 It is directed to non-dairy vegetarians to suggest the new standard that excludes dairy and eggs from diet, the new vegan moniker, and the new organization distinct from the Vegetarian Society. Also expressed in Watson’s newsletter launch is the reason why excluding eggs isn’t necessarily about treatment and is concerned with the overall system. On the Peaceful Prairie questions, well done demonstrating how to go about entirely missing the point with answers ranging from deliberate obtuseness to just being wrong. I think the reason you clung so hard to the origin of veganism aspect of it was because your arguments were so weak all you were left with were accusations of obtuseness and ‘just being wrong’. My very first comment made no mention of the beginning of veganism. You were the one who “clung so hard“ to the origin of veganism as false justification for egg consumption in the first place. Factually you are absolutely wrong. When corrected, you doubled down. That was before I even replied to you. I offered that people who insist on consuming chickens’ eggs regard the animals as widgets. You replied that your chickens are nutritional supplement dispensers, are gardening tools, and have environmental benefits akin to swapping out incandescent light bulbs for compact fluorescents. Widgets. As for Peaceful Prairie questions, granted it’s subjective on my part, but you don’t seem to be engaging with them in good faith so it’s senseless to debate point by point. Even if I attempted a discussion, your tone on the basics of vegan history indicate that you’re unwilling to concede facts. Everyone can read the Peaceful Prairie questions and your responses and come to their own conclusions. Your main point is spot on: that ethics don’t vary based on one health study or another. However, I do think we should be calling for more accurate reporting of scientific studies and health risks, given our public health crisis. The egg industry has tried to spin data so that it looks like dietary and serum cholesterol don’t correlate. But this is not quite accurate. The correlation appears weak because the vast majority of Americans have serum cholesterol levels that are way too high and an extra egg here or there makes very little difference. This is known as the sick population theory: a cause for a disease is hard to detect if a large enough percentage of the population suffers from that disease. When scientists move from observational studies of populations to tracking the relative serum cholesterol levels of individuals when they move from a diet high in saturated fat and cholesterol to a plant-based diet, they do consistently see a reduction in serum cholesterol. with all due respect this comes across as epistemic closure. 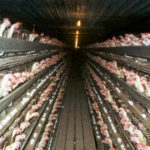 1st world vegans who criticize beegans, ostro-vegans, or even those who eat eggs from rescued chickens should take a hard look at how their lifestyles contribute to death, exploitation, and cruelty. There’s no such thing as “beegans” or “ostro-vegan”. Those are made up terms to rationalize consuming animal products. Besides, it is “1st world” humans that use these made up terms, so it’s “1st world” versus “1st world” competing claims. Besides, veganism isn’t a class issue – the world’s poor live off of beans, rice, corn, and potatoes. Veganism isn’t the cause of wealth inequality or food distribution disparities, either.